Cancer surgery is when you remove the tumor and surrounding tissues during an operation. It is often used to extract all or some of the cancerous tissues after diagnosis. You can also use it to diagnose cancer. The surgical oncologist looks for the tumor location, its spread, and affect. Another function of surgery is to relieve side effects or fix the body’s appearance. Surgery happens in a doctor’s office, clinic, surgery center or hospital. So let's explore how surgery is a tool in diagnosing cancer. A biopsy diagnoses most cancers. During the biopsy, the surgeon makes a cut in the skin and removes some or all suspicious tissues. The most common surgical biopsies are incisional biopsy and extension biopsy. Incisional biopsy is the removal of a piece of the suspect area. Extensional biopsy is the removal of the entire suspicious area, such as a mole or lump. After a biopsy, a pathologist examines the removed tissue under a microscope. A pathologist is a doctor who analyzes laboratory tests, cells, tissues, and organs. The surgeon or oncologist makes the diagnosis after receiving the pathology report. To decide the size of the tumor, the doctors do a staging surgery. Staging surgery finds the size of the tumor or where it has spread. The operation assists the doctor to decide which kind of treatment is best. Physical examination, biopsy, and laboratory results aid the surgery. Furthermore, they can predict the patient’s prognosis and the chance of recovery. If the complete removal of a tumor is not possible then, the surgeon tries to remove as much as possible. Other treatments like radiation, chemotherapy shrink remaining cancer. Now you know how the oncologists diagnose cancer with the help of biopsy and staging surgery. But will happen before doing surgery? You will meet the surgeon or surgical team, who will review your medical record. They will then perform a physical examination and check the need for surgery. During this time they give you the opportunity to ask about your surgery. I already prepared a document with questions that you can download below. A surgeon examines the patient and checks the need for surgery. Before surgery, you may need certain tests. For example, you may have a blood test to identify your blood type in case a blood transfusion. They may ask you to give a urine sample or have an electrocardiogram (EKG) or imaging scans. I hope you got a good understanding of cancer surgery. In next section, I’m going to explore the terrible side effects of the operations. Pay extra close attention to this part as you will learn things that can save your life. Complications during the surgery happen by the surgery itself, drugs used, and your health. The more complicated the surgery is, the greater the risk of side effects. Minor operations like biopsies, usually have less risk than a bigger surgery. Pain at the area treated is the most common problem. Infections at the site and reactions to the drugs are also possible. Are you going to do surgery soon? Hold tight because now you’re going to find out the survival rate of cancer surgery. Even though cancer surgery is the least intrusive cancer treatment, it’s not risk-free. In 2010, The National Cancer Institute published a study on cancer surgery. They examined the survival rate of surgery in stomach cancer patients. As you can see, the survival rates are poor, especially at more advanced cancer stages. The most common forms of cancer requiring surgery are of the breast and the lung. G. Edward Griffin wrote the book "World Without Cancer." When cancer has spread to secondary locations, the use of surgery becomes useless. ...like the other therapies approved by orthodox medicine surgery removes only the tumor. It does not remove the cause. If you have breast cancer you might want to think twice before doing mastectomy. Never do it before reading this. Many women diagnosed with breast cancer undergo surgery as part of their treatment. Double or bilateral mastectomy, which removes both the affected and unaffected breast. The number of women who have a double mastectomy for breast cancer has tripled in 10 years. Women who opt in for a double mastectomy do not increase their chances of survival. One study examined the use of bilateral mastectomy throughout California from 1998 through 2011. Bilateral mastectomy didn't cause lower mortality than that achieved with breast-conserving surgery plus radiation. ​Find out m​ore about breast cancer in this video. Click here to watch this video. Even surgeons don’t believe in what they do. You’re not going to guess what this professional surgeon had to tell about surgery. Ian Harris told The Sydney Morning Herald that he had done surgery that doesn't work. He works at Liverpool, St George and Sutherland Hospitals and the University of NSW. In the article, he told that he had done surgery for ununited fractures that have already healed. Or removed implants that were not causing a problem. Professor Harris has written a book called "Surgery, The Ultimate Placebo." In his book, he argues that many operations become accepted without proper study. If a patient complains enough to a surgeon, one of the easiest ways of satisfying them is to operate. He concludes that the only benefit of some surgeries may be a placebo effect. Harvard researchers found that almost 5 percent of cancer patients died after their operation. Of the 1.1 million patients diagnosed from 2004 to 2011, 53,500 died after surgery. Phew, I hope this read was not too disturbing for you. Let us recap what you read this far and the next steps you should take. Today I talked about how surgery is a part of biopsy and staging surgery. After that, I’ve revealed the disappointing survival rates of surgery. So now that you have read this post, I hope you've seen that cancer surgery can't cure cancer. So right now download the Cancer Surgery Questionnaire here. 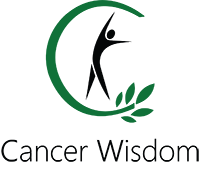 In this document, I’ve written some questions you can ask your oncologist. Why do you have to do this? Because you want to find out the truth of surgery. If you don’t do this, then you might be up for a bad surprise. Never take that risk. Get knowledgeable before taking any further step.